The advantage of the GFTIR-10 is the non-destructive determination of the most-important decomposition products, which are also able to quantify high concentrations of reactive and highly-corrosive substances. The measuring system of the GFTIR-10 consists of a spectrometer and a PC, with specially-developed analysis software and substance database. 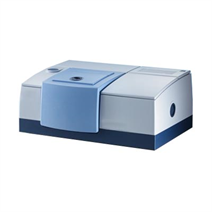 This measuring system enables trained laboratory staff to provide precise information about the composition of the respective SF6 gas sample. WIKA offers the analysis with the GFTIR-10 as a service as well. The customer's samples can be analysed in their own bottles or special evacuated gas cylinders can be sent in order to take a sample on site. The advantage for the customer is a detailed report of the composition of their sample, performed by an expert.